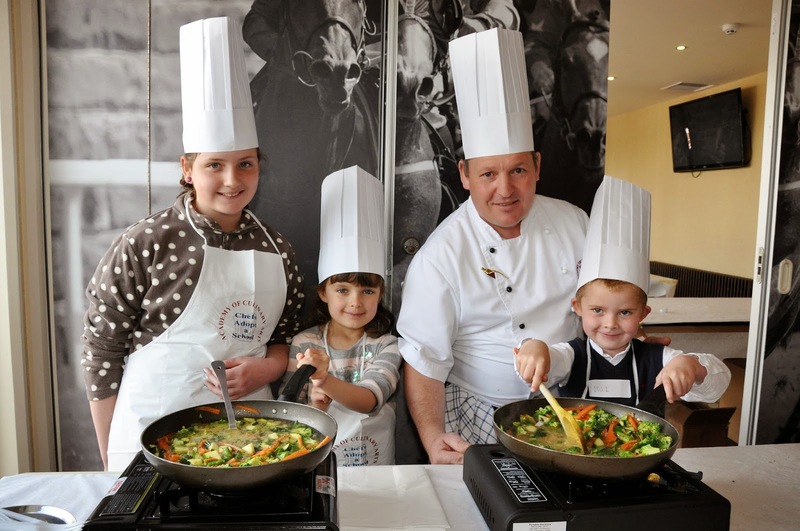 Chester Racecourse hosts a Giant Food Festival from 19 to 21 April - that's Easter weekend. If you have never been to this event before than you really don’t know what you are missing. 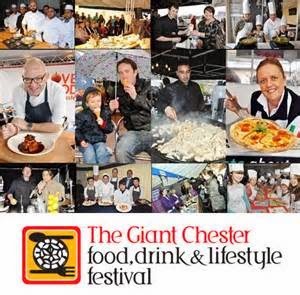 You enter through the Pavilion at Chester racecourse where you are met by some of the counties finest Cheese makers, the regions great cider makers, game sellers from Cumbria, dry cured meats from North wales – and you are only in the first part of this extravaganza. Making your way outside you see purveyors of fine coffees, stone baked pizzas, children cooking with the Academy of Culinary Arts. Moving on you come to the restaurant village where some of Cheshire’s finest provide you with foods from right across the world, Thai, Japanese, Italian, even Mongolian food, as well as some home cooked treats. 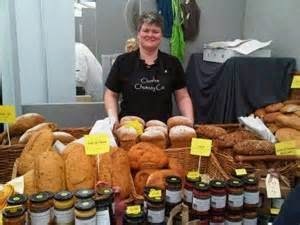 Next it’s through the Taste Cheshire village and then on to the lifestyle section featuring the Grosvenor Art society, or key cooking demonstrations and more great food and drink exhibitors. The whole experience takes about 4-5 hours and all for less than £20. 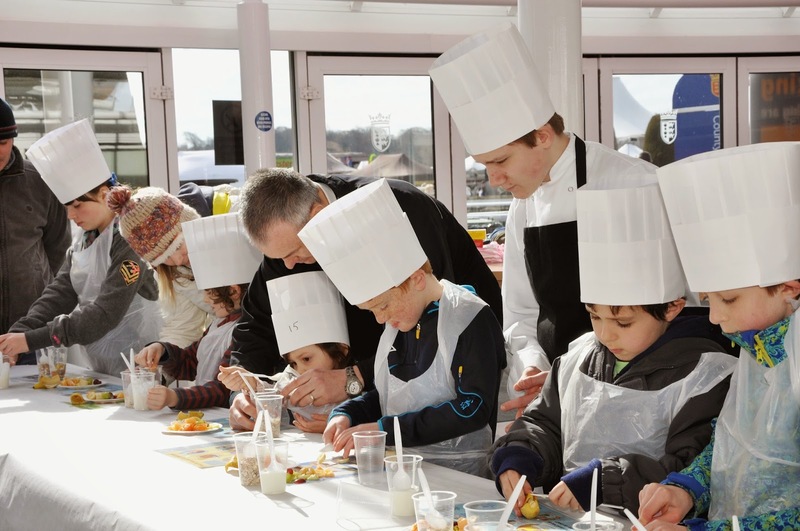 With over 25,000 people expected this Easter on the Chester Racecourse, right in the heart of the city, the Chester Food Drink & Lifestyle Festival is the biggest event of its type to take place anywhere in the UK this Easter. Over 150 exhibitors highlight the best the county, region and country has to offer and means that for you, the visitor it is simply a wonderful culinary experience. 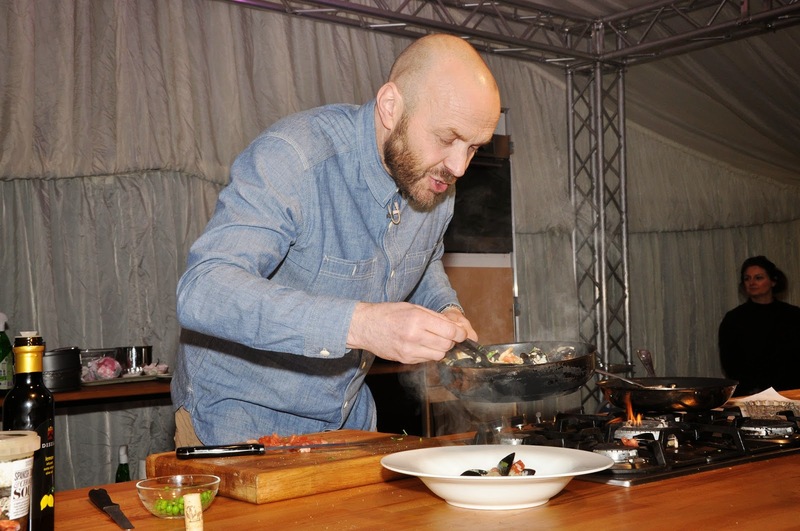 Channel 4’s Sunday Brunch presenter and Celebrity Chef, Simon Rimmer (below) headlines the very best chefs assembled at the Chester Food Drink & Lifestyle Festival. Rimmer has been a regular at the event since its inception and both the event and he have grown to be leaders in their field in the UK. It seems the public can’t get enough of either Simon’s cooking. The Festival have confirmed 2 Michelin Star and Abode Chester Executive Chef Michael Caines who will feature on the Sunday, he will be assisted by up and coming star, Thomas Hine. The stars just keep coming as River Cottage Chef Tim Maddams will also be on duty on both Sunday and Monday and he will be re-enforcing the ReFood Group 20/20 vision to cut Food waste by showing visitors how to make the most of every piece of food they buy or grow. 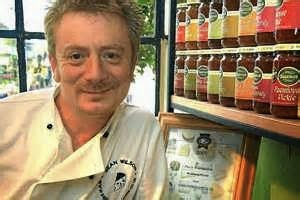 Supporting these Chefs is Cheshire’s own Celebrity Chef and now co-owner of 4 Cheshire Restaurants and Pubs, David Mooney, as well as former Coronation Street star and now Master Cheese Maker and Channel 5 food presenter Sean Wilson (below). 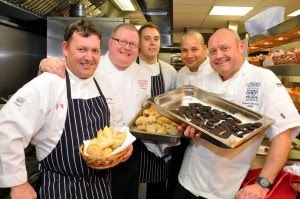 Local Chefs abound with the Marco Pierre White Executive Chef Ben Finchett on duty on Saturday and the new Welsh Future Food Skills Ambassador, Tomi Jones of Jones Butchers who will also be showing his butchery skills on the stage during the event as well.